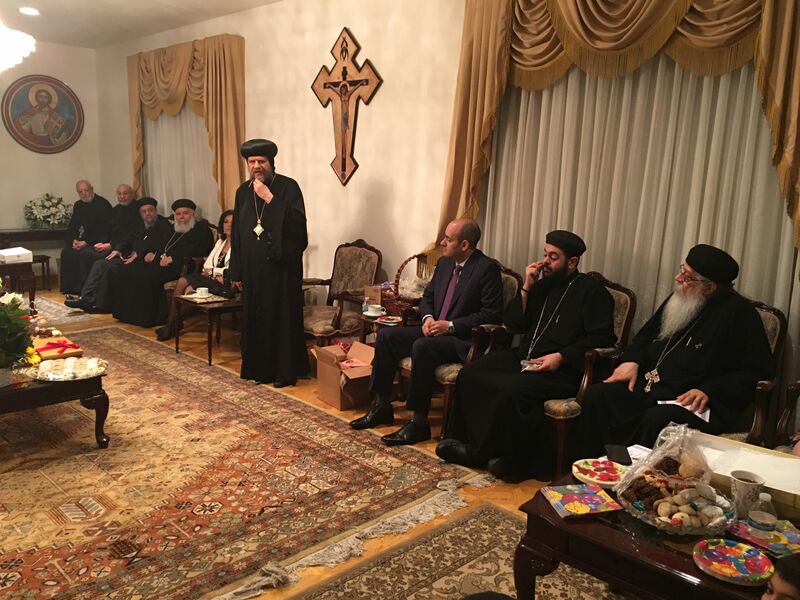 As part of the Diocese’s celebration of the Glorious Feast of the Resurrection 2016, His Eminence Metropolitan Serapion received clergy and dignitaries at the diocesan headquarters in Los Angeles on May 1, 2016. 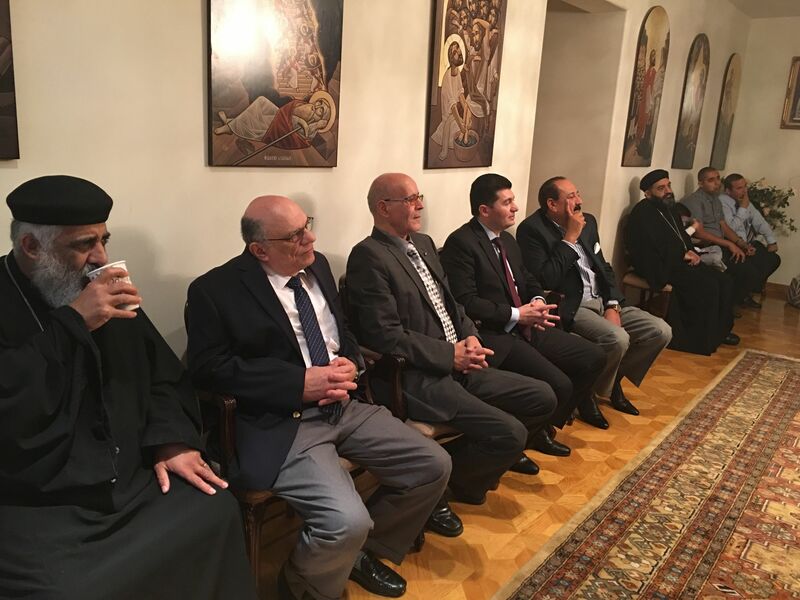 Among the esteemed guests were clergy from around the Diocese who came from the various parishes with their families, bearing greetings to His Eminence on this most auspicious occasion. 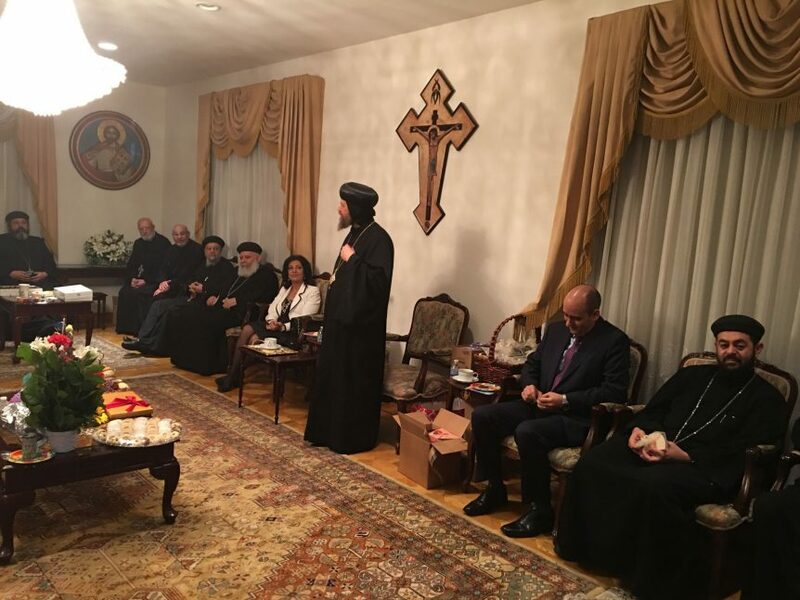 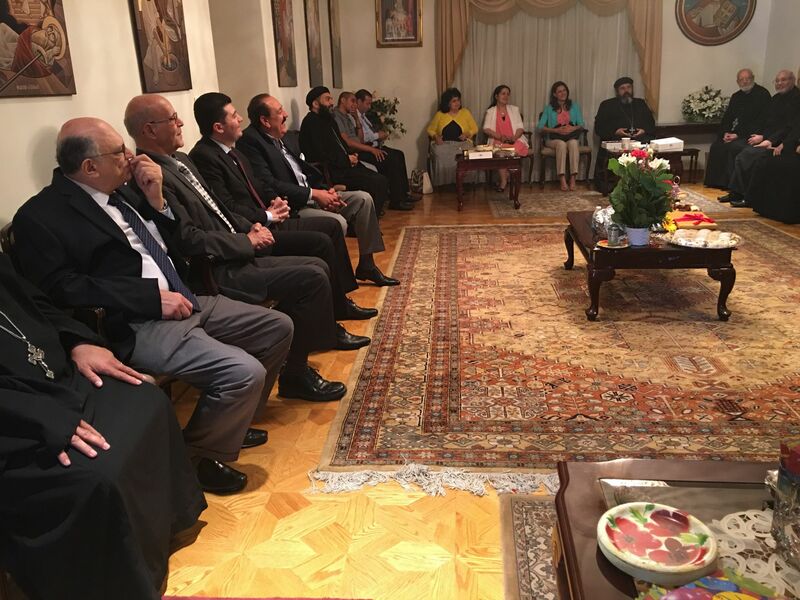 In addition, His Eminence joyfully welcomed Her Excellency, Ambassador Lamia Mekhimar, the Consul General of Egypt in Los Angeles, and several other esteemed dignitaries from the Egyptian government who came bearing warm greetings to Coptic Orthodox Christians for the Feast. 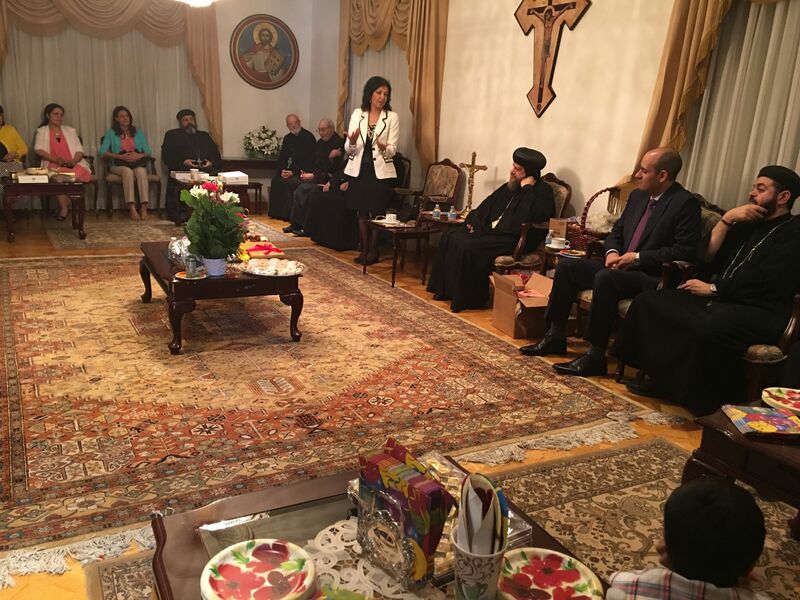 With God’s grace, it was a most joyful occasion reflecting the uniting power of our Lord’s Resurrection.